Unicaf is the leading online platform in sub-Saharan Africa addressing an underserved part of the higher education market through an affordable and flexible learning model. Unicaf is part of an extensive Higher Education organisation (EDEX) based in Europe and operating internationally with campuses and learning centres in Europe, Asia and Africa. Unicaf aims towards satisfying the needs for quality higher education in Sub-Saharan Africa through the offering of online, as well as blended learning degree programmes leading to the award of internationally recognised qualifications. The challenge was to reflect the vision and the academic approach of our clients into their prospectus. In a clean cut and minimal approach that reflects their educational standards. 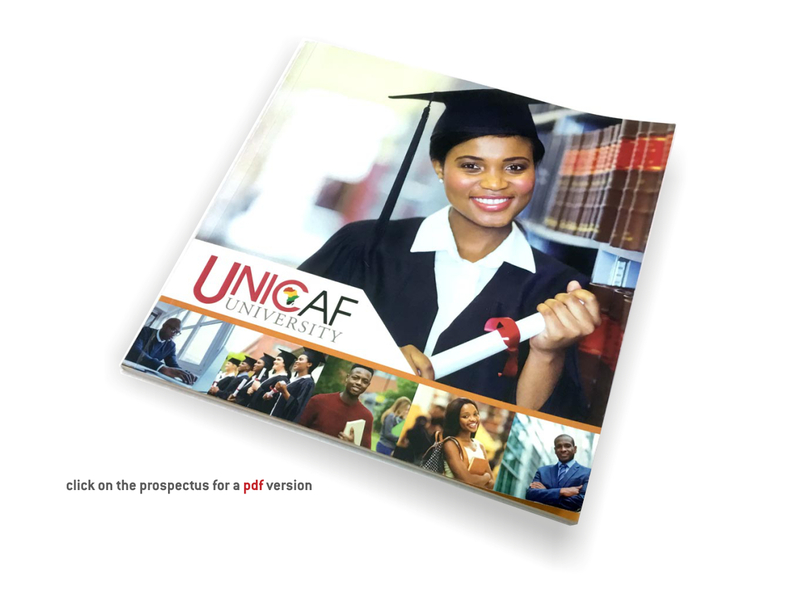 A prospectus for Unicaf University of 84 pages including covers… A digital output for the first 100 booklets and final preparation for future offset printing of the revised edition of the prospectus.